Bathroom Vanities and Accessories Design and Tips | DecorPlanet.com Blog: World Toilet Day is November 19, how will you celebrate? 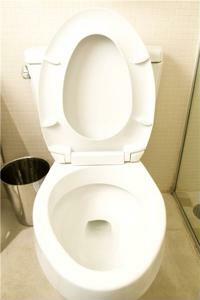 World Toilet Day is November 19, how will you celebrate? You may not appreciate the modern convenience of the porcelain device in your bathroom, but there's no better way to improve public sanitation than to install a toilet. That's why the organization WaterAid has sponsored World Toilet Day, an educational and advocacy program that looks to improve sanitation standards around the world, according to the group's website. It's hard to believe, but more than 2.6 billion people around the world don't have access to proper sanitation, and this could lead to myriad problems that can afflict a society. Reversing these trends can boost a country's productivity and the health standards of an entire population. World Toilet Day is also a time to look at your own water usage habits to see if there is any way you can make your home a bit more sustainable. Worldwide sanitation standards are a huge problem, so what will you do to help out when November 19 comes around?